The Greater Bandon Association has named the June recipient of its Volunteer of the Month award. Sheryl Bremmer becomes the eighth winner of the second year of this award created in 2016. Sheryl was presented the award in the form of a plaque and a gift certificate from The Wool Company at the June 5th, 2017 meeting of Bandon’s City Council. Sheryl has been attending City Council and Planning Commission meetings since her arrival in Bandon years ago. As a former high school t…eacher, Sheryl understands and appreciates the importance of civic involvement and has done her best to stay active in our local government. Sheryl is currently a Planning Commissioner and a member of the City’s Water Utilities Committee and Budget Committees. She serves as the City’s Hearings Officer on Planning Department appeals. Also, Sheryl became involved in the most recent update of the City’s Parks and Recreation Master Plan Update acting as editor and adjusting the document to read in one clear voice. Sheryl is so active in our local government processes and stays informed by attending multiple public meets each month. 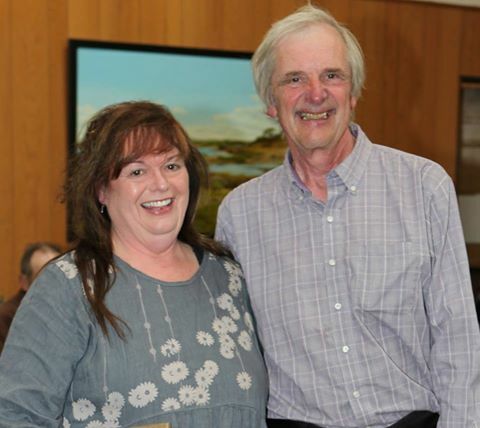 We are so happy to celebrate Sheryl and all that she does to make Bandon a better place! The Greater Bandon Association will be honoring one of Bandon’s many volunteers that are making a difference in the community each month. Nominations for the July award should be e-mailed to dana@greaterbandon.org or mailed to P.O. Box 161 by close of business on June 30th.